A 38-year-old man was charged today with the murder of a 9-year-old girl whose body was found partially inside a large duffel bag near an equestrian trail in the Hacienda Heights area. Emiel Lamar Hunt — who is believed to be the boyfriend of Trinity Love Jones’ mother — was arrested early Saturday in connection with the girl’s death. Sheriff’s officials said Hunt was found sleeping in his vehicle in a lot near San Diego International Airport. Hunt appeared briefly in a Pomona courtroom Tuesday, but his arraignment was delayed until April 16. He remains jailed in lieu of $2 million bail. The criminal complaint alleges that Hunt has a 2005 conviction for child abuse from San Diego County. He could face up to 50 years to life in state prison if convicted as charged, according to the Los Angeles County District Attorney's Office. Sheriff’s officials said earlier that two “persons of interest” had been detained for questioning in the case, but only Hunt was charged Tuesday. Sheriff’s officials said they were not disclosing any additional information about the second person of interest, pending further investigation. 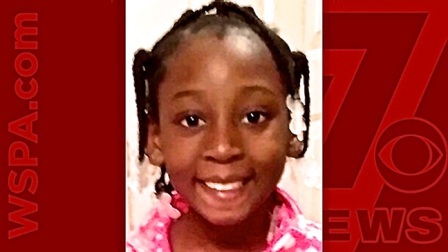 The victim’s relatives told reporters the girl’s mother was the second person being questioned, but sheriff’s officials would not confirm those reports, and there is no record of her being arrested. County workers clearing some brush in the area found the girl’s body found about 10 a.m. March 5. The girl was partially inside a black roll-away-type duffel bag, with her head and upper body protruding from the partially zipped bag left at the bottom of an embankment close to Colima Road and the 3400 block of Hacienda Boulevard, near the His Lai Buddhist Temple, authorities said. The coroner’s office ruled her death a homicide, but officials have not said how the girl died. Sheriff’s detectives initially asked for the public's help in identifying the girl, releasing a composite sketch of the child and photos of the clothing she was wearing. Family members who created a memorial of candles, flowers, balloons, stuffed animals and photos near where the girl’s body was found eventually confirmed her identity.